1991 as a scientific worker in the Institute of freshwater fisheries I�ve been working on the issues of artificial breeding and raising of economic species of fish. Since 1997 I�ve been working on applications of technological parameters of artificial breeding and raising of sturgeon fish in Bulgaria. The results obtained so far prove successful application of the technology. The first specialized sturgeon farm in the country obtains caviar from captive offspring brought up from spawn to adult specimens for a third year. The production plan of the company provides for 5 tons of caviar for the current year. Adaptation of caught in the wild adult specimens of Beluga and Russian sturgeon has also been obtained. An adult specimen of Russian sturgeon, caught in the Danube in 2004 managed to spawn for a second time in 2006 and is still kept alive. 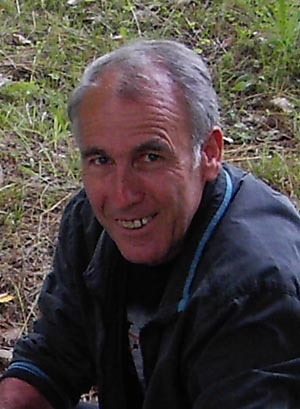 2007 - present day - Senior Research Associate Second Degree of Ecology and Conservation of Nature, Department of Ecology, Biological Faculty, University of Plovdiv. Member of the Scientific Council of the Institute of Fish Resources - Varna and the Institute of Fishery and Aquacultures � Plovdiv ; member of W.S.C.S. ( World Sturgeon Conservation Society e. V). 07.2005 Participation in the workgroup involved in the preparation of the Action plan for the conservation of sturgeons (Acipenseridae) in the Danube River Basin, 06.2006Participation in the expert working meeting of the countries along the lower current of the Danube for coordination and implementation of sturgeon stocking programs for the Lower Danube River and the North-West Black Sea Region. 1. Dobrovolov, I., A.Tsekov, P. Ivanova, M. Yankova, 2004. Identification of the eggs of Huso huso and Acipenser ruthenus (Acipenseridae, Pisces). - Vetenary sciences, V. XLI(3): 30-32. 2. Dobrovolov, I., P. Ivanova, A. Tsekov, 2005. Genetic-biochemical identification of some sturgeons and their hybrids (Pisces, Acipenseridae). - Verh. Internat. Verein. Limnol., 29(2): 917-921. 3. Tsekov, A., P. Ivanova, I. Dobrovolov, 2006. The use of genetic markers for species identification of catfishes. National Center for Agrarian Science. - Bulgarian Journal of Agriculture, 297-300. 4. Ivanova, P., A. Tsekov, I. Dobrovolov, S. Atanasova, 2006. Genetic � biochemical characteristic of the hemoglobin and thranspherins of the Black Sea turbot (Psetta maxima). National Center for Agrarian Science. - Bulgarian Journal of Agriculture, 284-289. 5. Bloesch, J., T. Jones, R. Reinaretz, A. Tsekov, 2006. Action Plan for the conservation of sturgeons (Acipenseridae) in the Danube River Basin. Convention on the Conservation of European Wildlife and Natural Habitats (Bern Convention). Nature and environment, № 144. Concil of Europe Publishing. 6. Tsekov A., 2007. Natural water bodies restocked with farmed sturgeon in Bulgaria. - Eurofish, 3:51.